Fitted Furniture: Is It Right For Me? When it comes to interior decor, the bedroom is often one of the very first rooms we access. It’s habitually a place in which we choose to relax, switch off and un-wind, so it is important to select appropriate interior designs. Fitted furniture is one of the options you’ll come across when considering your bedroom’s dÃ©cor, but how will you know if it is right for you? Fitted furniture comes in the shape of household items that are made to fit. This allows you to make the most of the little space you have to work with. Instead of investing in a wardrobe that finishes somewhere in-between the floor and the ceiling, a fitted wardrobe will stand tall â€“ beginning at the floor and ending at the very tip of the ceiling. If your bedroom is an attic room, fitted furniture can be of a great asset, as it makes use of low ceilings and slanted walls. Why is fitted furniture so popular? Conventional detached units can often be a pain to move from the store to the home environment, especially if your current abode has narrow doorways and slim staircases. More often than not, the furniture will have to be taken apart prior to making the journey to your room. Fitted wardrobes, including those from Betta Living, are not only put in place by a professional, they are also assembled on site. This ensures they are flat to the wall and make use of every inch of space available. One of the most obvious reasons homeowners choose fitted furniture is due to a lack of space. Both small apartments and country cottages can equally suffer from slanted ceilings, cubbyholes and uneven walls. Trying to find wardrobes small or slim enough to sit in these areas can be a chore. 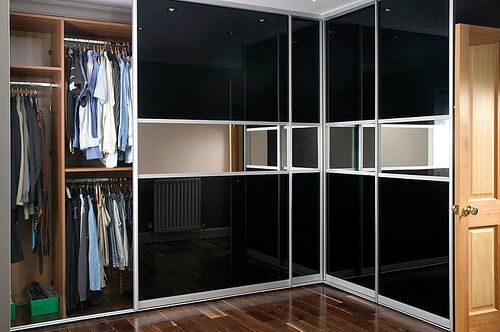 Tailoring a wardrobe to your specific needs makes it a great asset to any homeowner, especially if you have certain design requirements. You may require a specific place for shoes, hats and longer dresses. A fitted wardrobe will cater to these needs, whereas a standard structure will usually offer only the one proposal. Fitted furniture also allows for customisation when it comes to furnishings. Both colour and styling are taken into consideration, which means you can match the fitted furniture to your existing dÃ©cor.